As Western policymakers, analysts and journalists continue to ponder Vladimir Putin's aims in invading and occupying the Crimean peninsula, we again take an opportunity to delve into the Research Digest and The Psychologist archives in search of psychological insight. 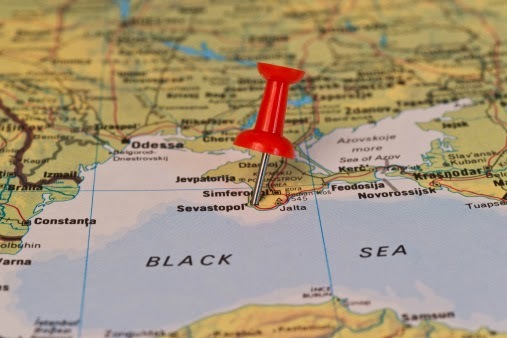 "With the Black Sea region, or rather Crimea, Ukraine and Russia, currently dominating the news, I (Stephen) am reminded of 1987, my first conference of the European Association of Social Psychology held in the Black Sea city of Varna. I was sitting reading by a swimming pool and wondering why so many people were giving me dirty looks and a very wide berth. Then I realised. The book I was holding was titled Male Fantasies. The front cover sported a lurid picture of a naked man on a stallion with swastikas in the background. I hastily put it away. But, far from being salacious or disreputable, Male Fantasies actually presents an important analysis by the German literary scholar Klaus Theweleit of the German Freikorps — the ultra-reactionary nationalist paramilitaries who paved the way tor the rise of Nazism. It analyses the toxic combination of damaged national pride and wounded masculinity that arose from the post–World War I settlement imposed on Germany at Versailles. As the paramilitaries asserted their power, they benefited from the inability of a weak state to contain the violence. Many dreamt of national redemption centred on the expression of masculine power. In 1934 American sociologist Theodore Abel ran an essay competition asking Nazi Party members to explain why they had joined. One theme ran throughout, carved in stone on a monument in the hometown of one member: ‘We eagerly await the coming of the man whose strong hand may restore order’. In his 2013 book Fascist Voices Christopher Duggan shows that many Italians, like Germans, felt cheated and weak after 1918. Mussolini embodied their redemption: the strong man who would create a third Rome. He loved to be pictured, stripped to the waist, performing manual tasks. His torso and his jutting jaw became metonyms for the idealised nation. Indirectly, this takes us back to the Black Sea, to Crimea and to Russia – or at least to Vladimir Putin who is central to the current drama there. What are his motives? What might he do next? And why does he have such political freedom? In part at least, Theweleit’s book provides important answers. After the collapse of Communism in the 1990s the West was seen to impose its interests and its values on Russia. As a result the country was seen to be humiliated and diminished, losing its stature in the world and its identity. At the same time, the slapstick administration of Boris Yeltsin was seen to accelerate this decline. This constituted the perfect storm – the combination of conditions that energise potential patriarchs and that render patriarchy more attractive. A telling study of young Russians by Yulia Lukyanova, now at Edinburgh University, graphically illustrates how deeply this is felt: "Russia is like a small child who lost its way. It doesn't understand where to go... (it) eats what it shouldn't eat, all kinds of trash". More disturbingly, the sense of infantilisation goes along with the desire for strong patriarchal authority. The great majority of respondents wanted a strong leader. National regeneration "should be launched from the top, it will never be started from below". Tapping into this dynamic, it is clear that Putin knowingly affirms his embrace of the Russian ‘family’ by challenging his critics through the brute assertion of aggressive, homophobic, patriarchal force. That much, at least, he shares in common with other redemptive ultra-nationalists in history. We have to hope that he hasn’t also adopted their belief in war as a redemptive tool to reforge the national character. But perhaps the most important implication of all this is not for our understanding of the autocrats themselves – whether in Germany or in Russia. It is for our understanding of ourselves. When will we understand that a sense of the superiority of our economic, political and moral values, and our imposition of these values on those who have been defeated, will only empower those who negate all that we believe in. When will we realise that the triumphalism of the West is a harbinger of our profoundest problems?" Also considering the impact of masculinity, and specifically male libido, is this Digest post from 2011. And with all that puffing of chest, perhaps Putin is on to something given this 2009 post: we judge our leaders on how they look, not on how they perform. As Reicher and Haslam say above, we have to hope that Putin hasn't adopted the belief in war as a redemptive tool to reforge the national character. But unfortunately we know from psychological research that power can have quite an impact on a person, leading us to dehumanise others and affecting cognition and behaviour. Could this conflict have been predicted based purely on geography? In this post from 2007, we described how researchers have shown that a mathematical model, based on the distribution of different groups, can provide a highly accurate prediction of where violent conflict will occur. The flash point is characterised by an island or peninsula of one ethnic group, of between 10 and 100km in size, being surrounded by geographical areas populated by other ethnic or cultural groups. "Violence arises when groups are of a size that they are able to impose cultural norms on public spaces, but where there are still intermittent violations of these rules due to the overlap of cultural domains". As the West watches the situation in Crimea with concern, we can be sure that such political conflict will be having a major impact on those in the region, particularly young people – although not always a negative impact. Although the marginalised minority may become wary of intergroup contact, we conclude, we have to hope that a peaceful solution can be found - again, this is an area where psychologists are active. Post written by Dr Jon Sutton, Managing Editor of The Psychologist, for the BPS Research Digest.